John has been involved in the Real Estate Industry since 1991, giving him over 23 years experience in the property business. 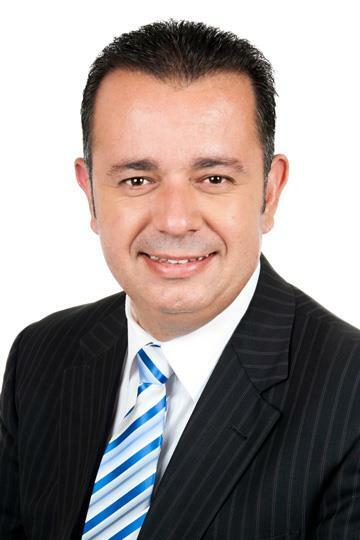 Throughout his career John has achieved the Top Selling and Top Listing Representative status many times, most recently achieving “Grand Master Award” from REIWA and “Gold Award Winner” from First National Real Estate 2010. His services are valued by many local developers and investors as well as his past clients. John is a local resident, born and raised in Fremantle area and has been involved in the local community as an Executive Committee member, as a sponsor of the Phoenix Knights Soccer Club and spent numerous years as a Junior Grades coach. John’s business philosophy is one of always putting his clients’ interests first – and doing his best in whatever it takes. He understands the importance of being part of an experienced, supportive and “results – focused” team. OCEAN VIEWS in Cul de sac location high on the hill. What an amazing place to call home. There are times when working in Realestate as an agent that you get home and can't wait to tell your love ones that you have just listed to market one of the best properties, in the area. This could be the one you have been looking for. Located across the road from the Coogee Primary School. If you are looking for the ideal family home that provides a quality lifestyle with flexible living areas, space and functionality for a growing family, then this is the home for you. PARK LOCATION WITH COOGEE BEACH ONLY MINUTES AWAY!!! Do you need SIDE REAR ACCESS? THIS IS IT!!! You must inspect this property as soon as possible, I'm not joking!! Stunning free standing town house in this great location packed full of features.